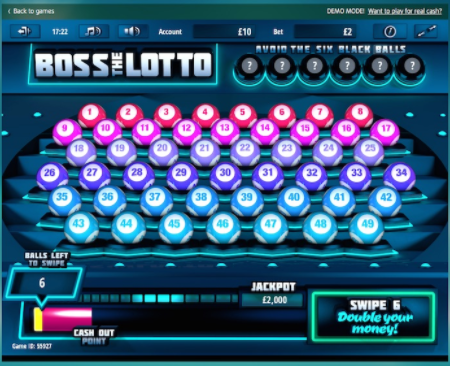 If you enjoy winning significant amounts of cash at slot games online sites, and being at the will of a progressive and lucrative jackpot then you will love Boss the Lotto. Select a range of lottery balls that are organised at random of varying quality and earn yourself some cash. Please bear in mind you must pick the high-quality cash balls to win the big money. Boss the Lotto also has a hyper-realistic national lottery setting to create an authentic slot experience. Gamevy is a London based award-winning game supplier and operator. The company produce online game shows, online lottery based casino slot games and scratch card games. Their games are specifically designed to keep games entertained and create the best gaming experience possible. Gamevy are made up of experienced designers and developers who work hard to ensure all games are innovative and unique. The company is unlike others out there which what makes their games so fun and popular as they offer some different to their competitors and strive to maintain their loyal customers. Claim your free spins today and play slot games. As you can guess from the title Boss the Lotto is an online lottery based slot game. 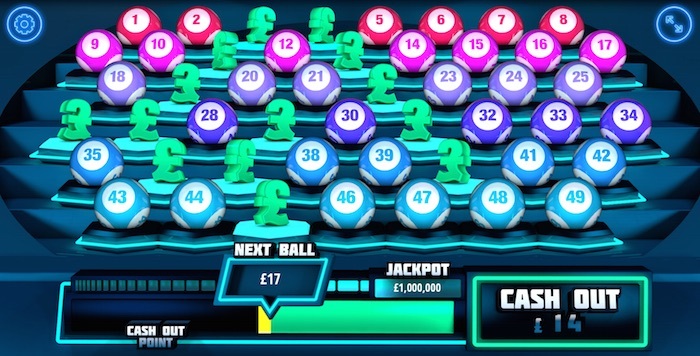 The game comes with 49 balls numbered 1 to 49 however 6 of the balls will end the game and lose all your jackpot money if you choose them so be careful which balls you select. The main aim of the game is to get at least 6 good balls in order to win some cash. There are so special features within the game however it still comes with plenty to offer. The game is completely different to most all slot games out there as it comes in a different format to what you’re probably used to but that shouldn’t put you off. The balls in Boss the Lotto have been designed to look realistic as if you’re actually sat in the bingo hall playing for real and come in a range of colours from pinks to blues. There are more general Easy slots bonuses uk here. Before you start the game you must select your betting amount this can be anything from £1 to £10. Depending on how much you bet you could win between £500,000 to £5,000,000. After selecting your bet, you can begin the game by pressing the start button and choosing your balls. After you select a ball a green cash symbol or a black ball will appear. A green cash symbol means you have a good ball whilst a black ball equals a bad ball. Once 6 good balls have been selected at the same time you will win a cash prize. If you get the dreaded black ball it will end the game. After 6 good balls have been selected a button will begin flashing this is the cash out button. Press the cash out button to receive your cash prizes at the end of the game. You can continue to play the game if you wish to and by doing so you could double your overall cash prize with an extra pick of the balls. More casino bonuses are waiting, discover how to use mobile billing slot. Boss the Lotto is great fun game to keep you entertained for hours, despite it’s lack of features the game certainly makes up for it in its cash prizes. The graphics and the atmosphere of the game are superb giving it a realistic feel making the game all that more exciting. If you’re feeling risky then be sure to give Boss the Lotto a try. If you enjoyed Boss the Lotto then you might also like Immortal Romance, find out more.